1. The beginning of this love is the will to let those we love be perfectly themselves, the resolution not to twist them to fit our own image. If in loving them we do not love what they are, but only their potential likeness to ourselves, then we do not love them: we only love the reflection of ourselves we find in them. 2. Love seeks one thing only: the good of the one loved. It leaves all the other secondary effects to take care of themselves. Love, therefore, is its own reward. 3. True happiness is found in unselfish love, a love which increases in proportion as it is shared. There is no end to the sharing of love, and, therefore, the potential happiness of such love is without limit. 4. If you love peace, then hate injustice, hate tyranny, hate greed—but hate these things in yourself, not in another. 5. Love is our true destiny. We do not find the meaning of life by ourselves alone—we find it with another. 6. …our job is to love others without stopping to inquire whether or not they are worthy. That is not our business and, in fact, it is nobody’s business. What we are asked to do is to love, and this love itself will render both ourselves and our neighbors worthy if anything can. 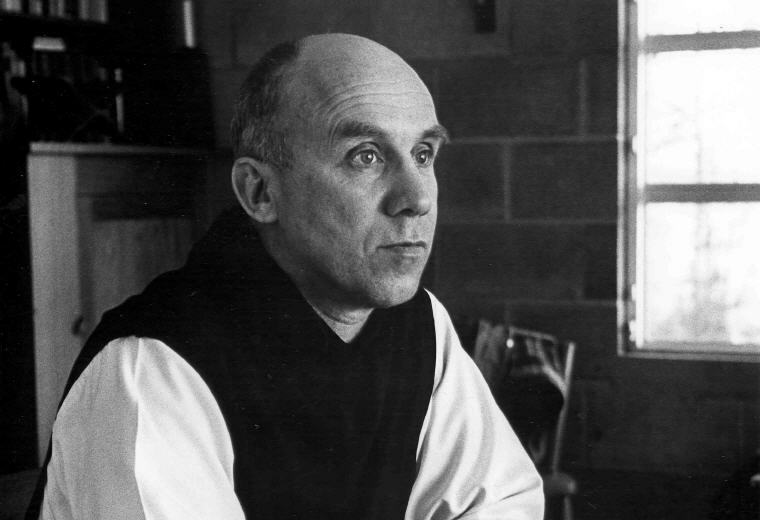 Excerpt from Wikipedia: Thomas Merton (31 January 1915 – 10 December 1968) was a 20th century American Catholic writer. 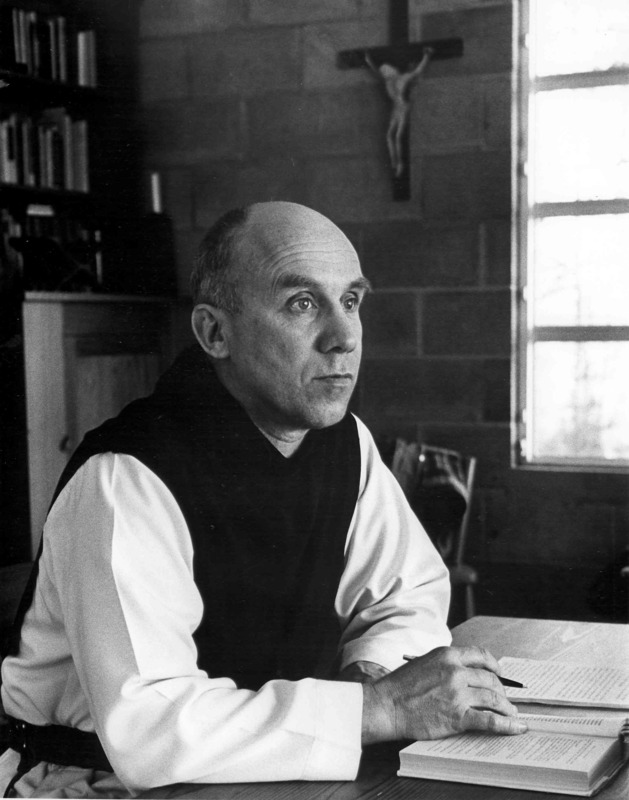 A Trappist monk of the Abbey of Gethsemani, Kentucky, he was a poet, social activist and student of comparative religion. He wrote more than 70 books, mostly on spirituality, as well as scores of essays and reviews. Merton was a keen proponent of interfaith understanding. He pioneered dialogue with prominent Asian spiritual figures, including the Dalai Lama, D.T. Suzuki, the Japanese writer on the Zen tradition, and the Vietnamese monk Thich Nhat Hanh. Merton is the subject of several biographies. 1. We cannot be happy if we expect to live all the time at the highest peak of intensity. Happiness is not a matter of intensity but of balance and order and rhythm and harmony. 2. Peace demands the most heroic labor and the most difficult sacrifice. It demands greater heroism than war. It demands greater fidelity to the truth and a much more perfect purity of conscience. 3. The whole thing boils down to giving ourselves in prayer a chance to realize that we have what we seek. We don’t have to rush after it. It is there all the time, and if we give it time it will make itself known to us. 4. Art enables us to find ourselves and lose ourselves at the same time. 5. The whole idea of compassion is based on a keen awareness of the interdependence of all these living beings, which are all part of one another, and all involved in one another. 6. But if you want to identify me, ask me not where I live, or what I like to eat, or how I comb my hair, but ask me what I think I am living for, in detail, and ask me what I think is keeping me from living fully for the thing I want to live for. Between these two answers you can determine the identity of any person. 7. To be grateful is to recognize the Love of God in everything He has given us—and He has given us everything. Every breath we draw is a gift of His love, every moment of existence is a grace, for it brings with it immense graces from Him. Gratitude therefore takes nothing for granted, is never unresponsive, is constantly awakening to new wonder and to praise of the goodness of God. For the grateful man knows that God is good, not by hearsay but by experience. And that is what makes all the difference. 8. If man is to live, he must be all alive, body, soul, mind, heart, spirit. 10. We are not meant to resolve all contradictions but to live with them and rise above them and see them in the light of exterior and objective values which make them trivial by comparison. 11. Finally I am coming to the conclusion that my highest ambition is to be what I already am. That I will never fulfill my obligation to surpass myself unless I first accept myself, and if I accept myself fully in the right way, I will already have surpassed myself. 12. Indeed, the truth that many people never understand, until it is too late, is that the more you try to avoid suffering, the more you suffer, because smaller and more insignificant things begin to torture you, in proportion to your fear of being hurt. The one who does most to avoid suffering is, in the end, the one who suffers most: and his suffering comes to him from things so little and so trivial that one can say that it is no longer objective at all. 13. There is another side of Kanchenjunga and of every mountain—the side that has never been photographed and turned into postcards. That is the only side worth seeing. 1. You do not need to know precisely what is happening, or exactly where it is all going. What you need is to recognize the possibilities and challenges offered by the present moment, and to embrace them with courage, faith and hope.